"This car was purchased feb. 2006 off "Ebay" and was being represented as a possible "Manta Ray" but could not be proved. 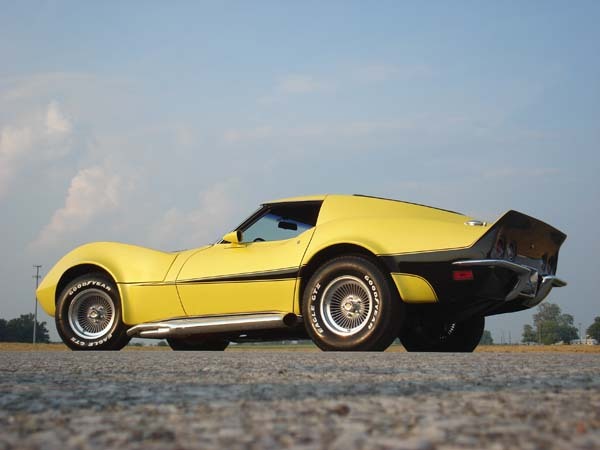 Because all the "Manta Ray's" were built in 1973. After exstensive research this car was found to be the only "Moray GT" built by Motion Performance Inc."
"This car was the "Bridge" between the "Maco" and the "Manta Ray"and was the only one built....Mr.Motion stated if we would buy the car and restore it to his wish's he would document the car as a (1 of 1) Baldwin Motion car's built by: Motion Performance Inc."
"So the car was purchased and painted and put back to "Mr. Motion's" wish's which was period correct yellow w/gold pearl and of course the signature Motion stripe's. 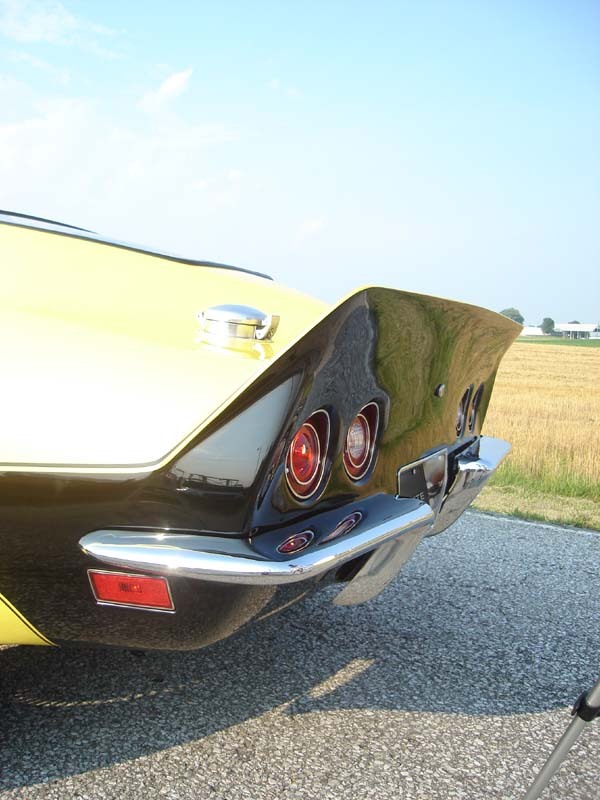 Mr. Motion has seen the car and stated this car is beautiful and one of his favorite car's." 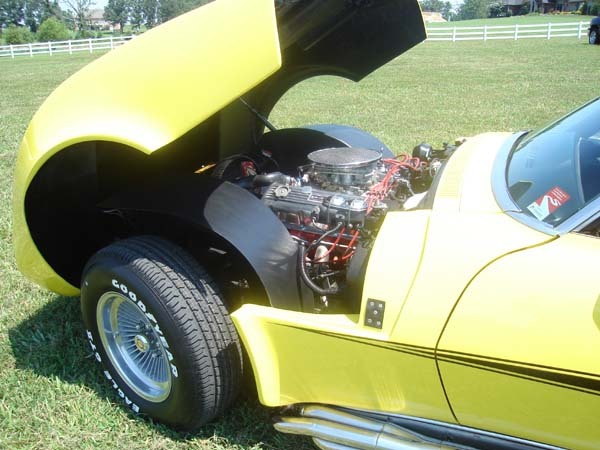 "The car is now finished and has been in "Vette Vue's" magazine and is working on several other magazine's and intrest in 2006 and well into next year. 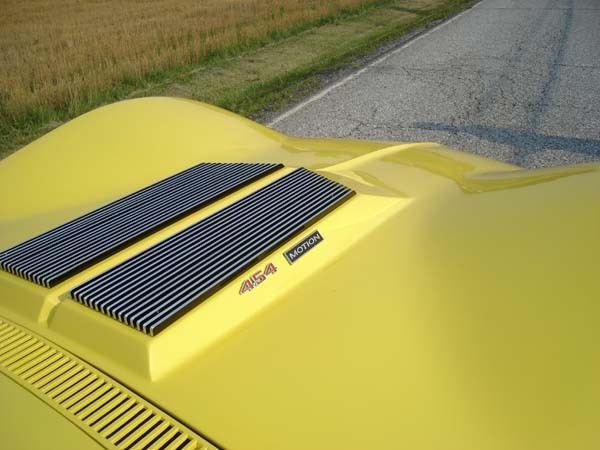 And will be on display at the "Supercar" reunion this year..."
Wow, cool car Dan! Looking forward to seeing at SCR9. Are you gonna run it down the track? 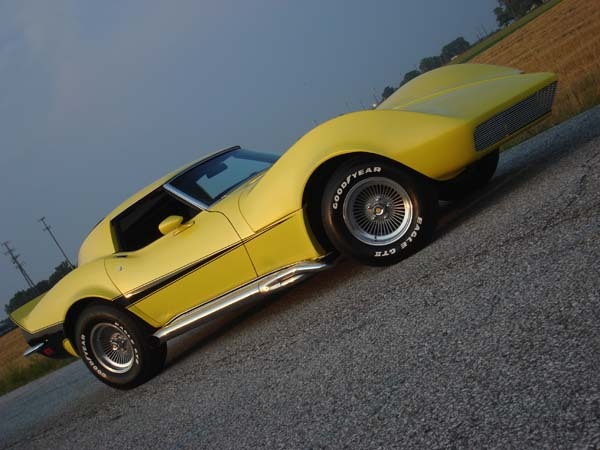 Why does it seem that the guys with the Corvettes always get the good looking women? Hey Marlin.... I thought that was my wife!!!! 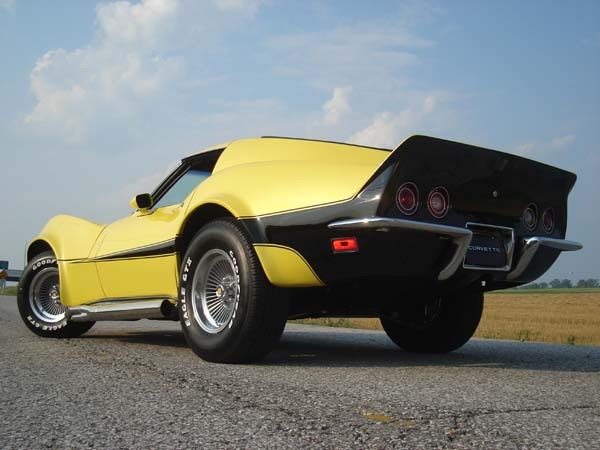 Home of the only: 1972 Baldwin Motion Corvette "Moray GT"